Mom really liked the modified Buttercup Bag that I made for myself this summer, so she requested one of her own for her birthday. I frantically threw this one together on Saturday evening, just in time for her party on Sunday. 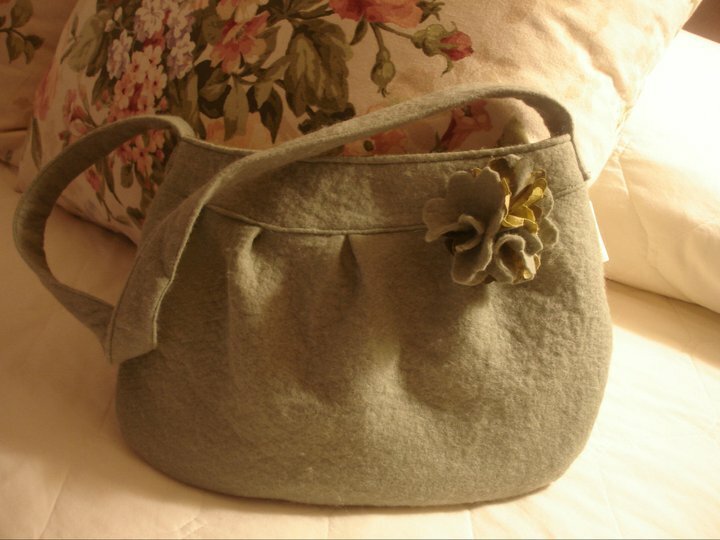 The purse is made of a very soft sage green wool felt for the exterior. The interior is 100% cotton quilting fabric. The flower embellishment on the outside is made from scraps of both the lining and exterior fabrics, and it is sewn onto a detachable pin, so you can use it on the purse or wear it on a blouse or jacket. 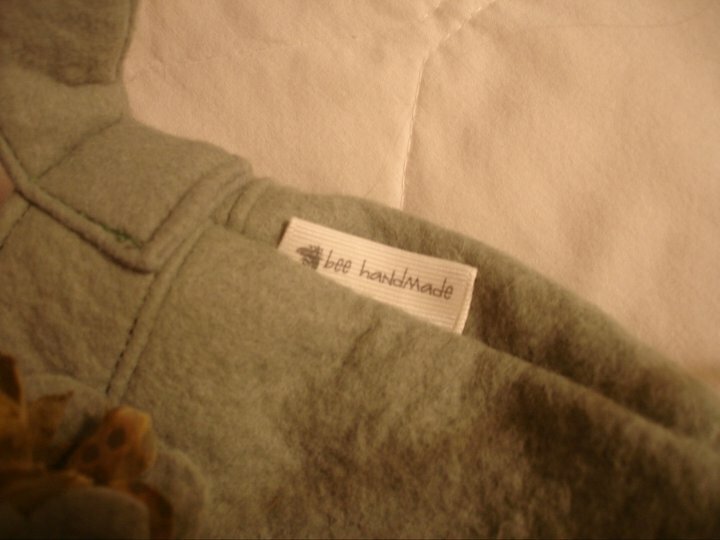 As you can see, I added two little "labels," one inside on the pocket, and one on the outer side seam. 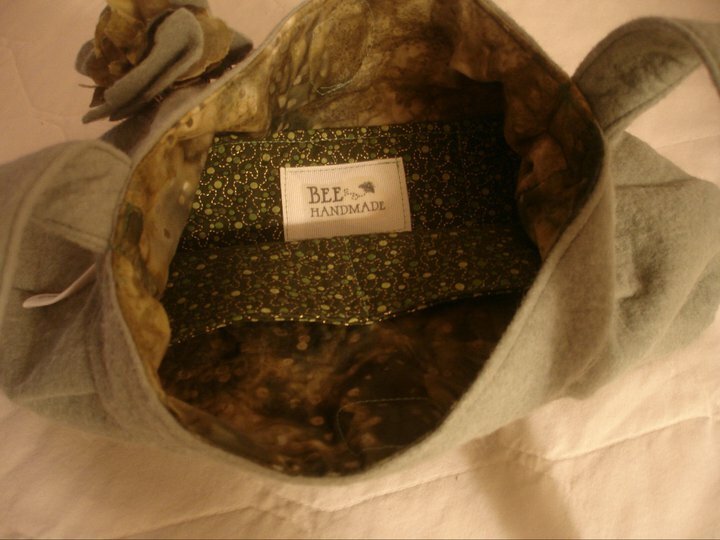 "Bee Handmade" is the newest section of my Etsy shop. Whereas most of my Etsy shop is centered around my original artwork, prints, and jewelry featuring my paintings, "Bee Handmade" will feature one-of-a-kind items like this purse, needle-felted pieces, and other little handmade odds and ends. I don't have any purses up in the shop yet, but I plan to have some soon. I will let you know when I get them made and listed! If you would like this pattern to use yourself, you can download a free copy of it HERE from designer Rae Hoekstra's blog. She is offering the pattern free for personal use, but asks that you purchase it along with a license if you plan on making any to sell. Just so you know, I purchased the pattern and am now a licensed seller. Anyway, if you are interested in pre-ordering a custom bag from me, please e-mail me. I would be more than happy to make one for you - it would make a fabulous and unique Christmas gift for any lady on your list! If you would like to choose your own fabrics, that would be fine too. 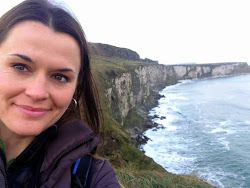 Just e-mail me for a list of supplies you'll need, and then you can send me your picks! Or, just tell me what you have in mind, and I'll try to track down the perfect fabric combo for you!